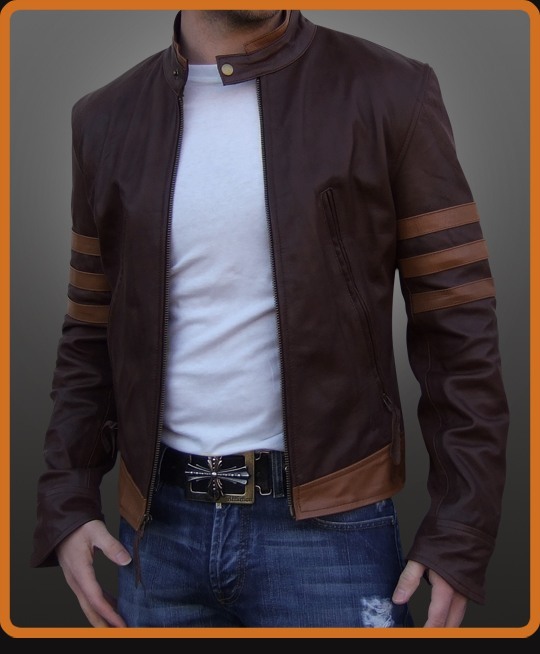 Men's leather jacket replica from X-Men Origins movie. Inspired by Wolverine character portrayed by (Huge Action) Hugh Jackman. Slim fit with contrast detail at shoulder blades, wide waist yoke. Extra long vertical chest pockets with leather pull. Look tough in this jacket without even baring your claws. Antique Brown with Tan detail.